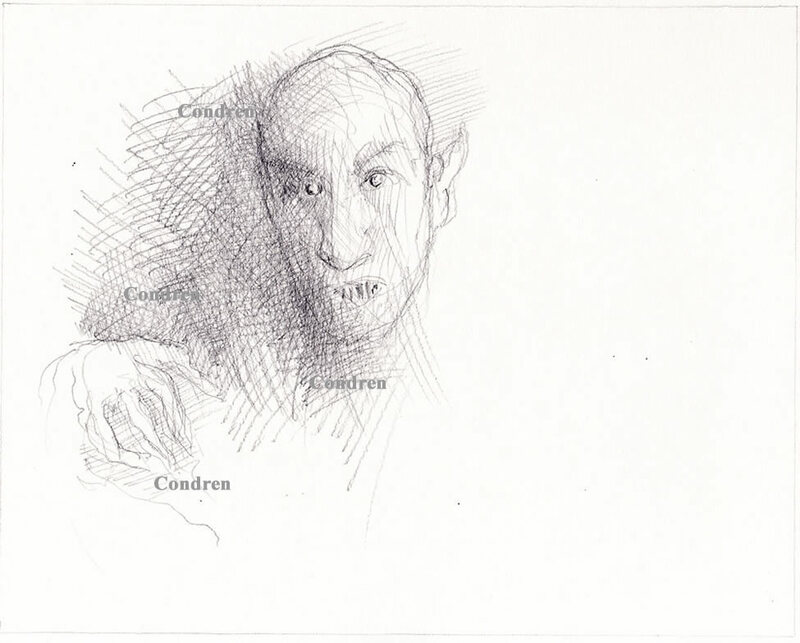 This article is about Nosferatu pencil drawing #277Z, which is for sale here, and written by artist and United States Navy Veteran, Stephen F. Condren, BFA, SAIC, of Condren Galleries, a Fine Arts Gallery, with JPEG & PDF scans and prints. Posted on Google+, Facebook, Twitter, Linked-in, and Tumblr. This drawing is based upon the famous 1922 German film of the vampire Count Orlok by Friederich Wilhelm Murnau. The film was based on the famous novel of Dracula by Bram Stoker. However, due to copyright issues the film was banned in Germany and many of the original copies were destroyed. My intention for this drawing is to bring out the character of Count Orlok and not to copy a photograph. If there is anything that is more boring or lame for an artist to do, it is to copy photos. The practice of copying photos is excellent when learning how to develop drawing skills, but it is only the excercise, not the art. The pencil drawing of the count was first done very lightly and then as I progressed I used hatching and cross-hatching to bring in more detail. In the drawing below you can see the lighter sketch below the hatching. The pencil drawing below I have increased the hatching and delineated the contour lines of the face and hand. Because of the intense cross-hatching near the edge of Count Orolk’s face, there is an added mood of suspense to the image. The cross-hatching is nice for making prints because lines show up very clearly on reproductions. 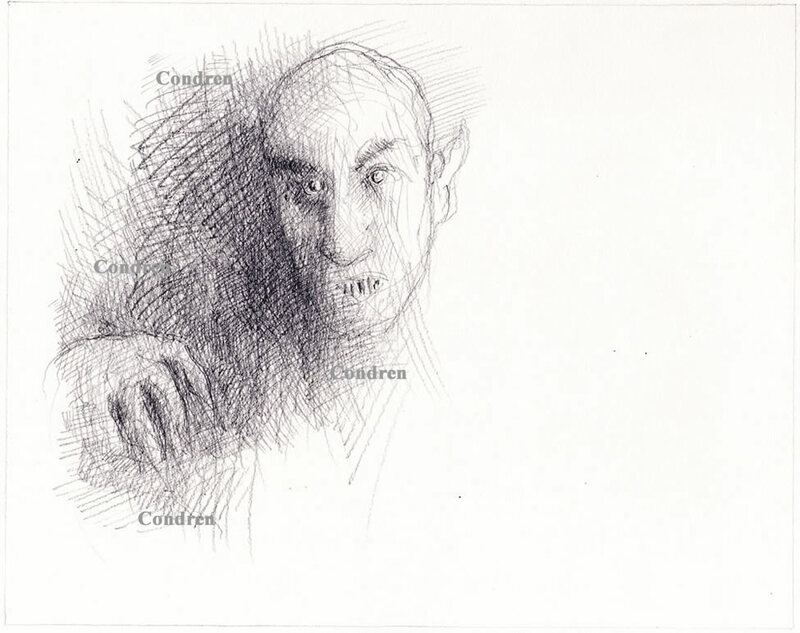 Scans of Nosferatu pencil drawing #277Z are available in JPEG or PDF formats for making prints, note cards, or posters. Condren Galleries is pleased to have been to participate in the execution of Nosferatu drawing #277Z. 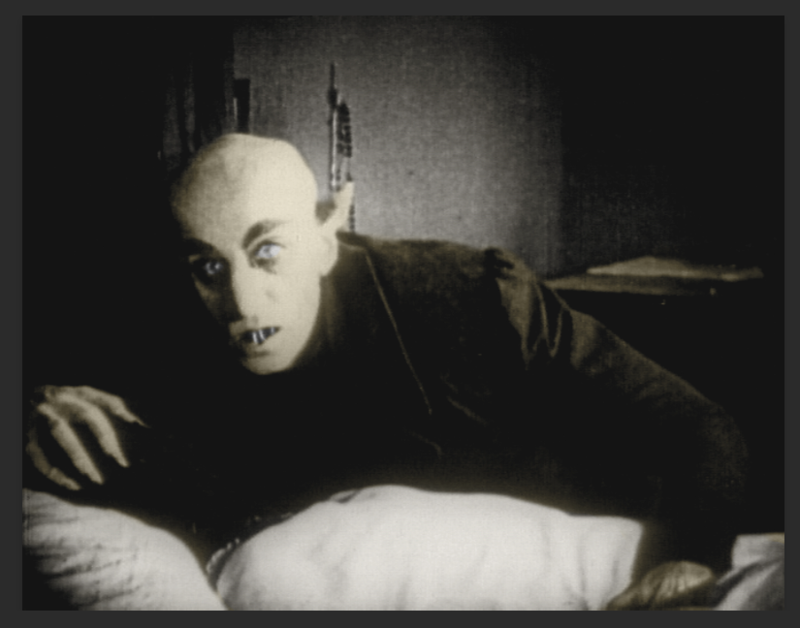 As an artist I have made drawing like that of Nosferatu #277Z a staple of my work. Nosferatu pencil drawing #277Z and prints by artist Stephen F. Condren at Condren Galleries. Pen & ink drawing of President Bill Clinton.